Build the foundation for successful teams with onboarding surveys and insights that decrease ramp time, boost productivity and drive early engagement among your new employees. Get your onboarding feedback program off the ground in a few clicks with pre-built surveys, dashboards and content designed by experts. It’s all just one click away in the Qualtrics XM Platform™. Need to make changes? No problem - you can customize your onboarding program quickly and easily with our intuitive survey and dashboard builder. Automate your feedback program with APIs into your HRIS. Just set your conditions and new hires will receive feedback requests at the right time, every time. Their responses will automatically populate reports and dashboards so the HR team, managers and onboarding teams always have their finger on the pulse. 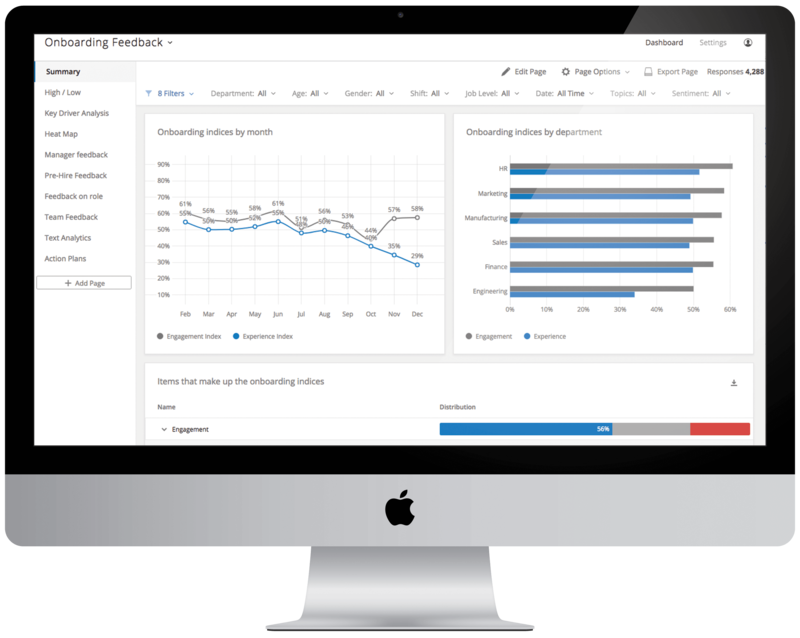 Turn your onboarding feedback into tangible improvements with real-time insights and intuitive dashboards that help hiring managers and onboarding teams track their improvements over time. 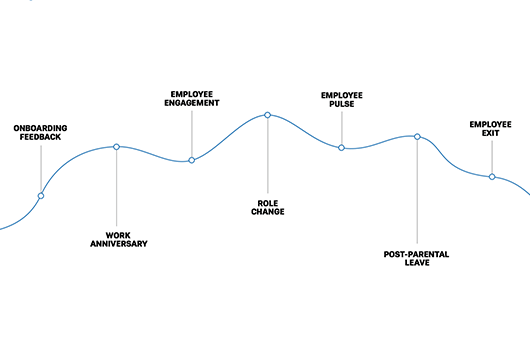 Start new hires off on with the right foot and track the impact of your onboarding program across the entire employee lifecycle. With all your feedback on the Qualtrics XM Platform™, you’ll be able to see how improvements to your onboarding program impact everything from engagement to productivity, development and attrition. 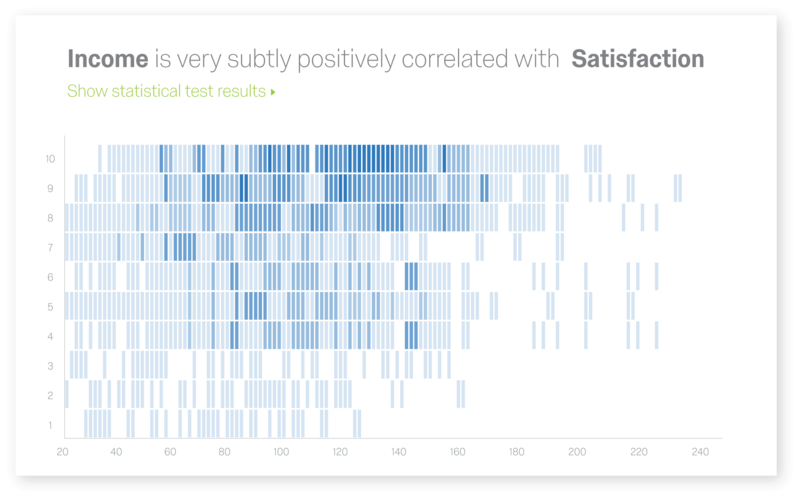 Spot patterns in your data and automatically identify the improvements to your onboarding program that will have the biggest impact. With iQ – our predictive intelligence engine – you get advanced statistical, predictive, and text analysis – without lifting a finger. Text Analytics – Make sense of tens of thousands of open text comments with natural language processing and artificial intelligence that spots trends easily. Statistical Analysis – Understand complex relationships between multiple variables in a single click. Stats iQ automatically chooses the right tests and presents the results in a way anyone on your team can understand. 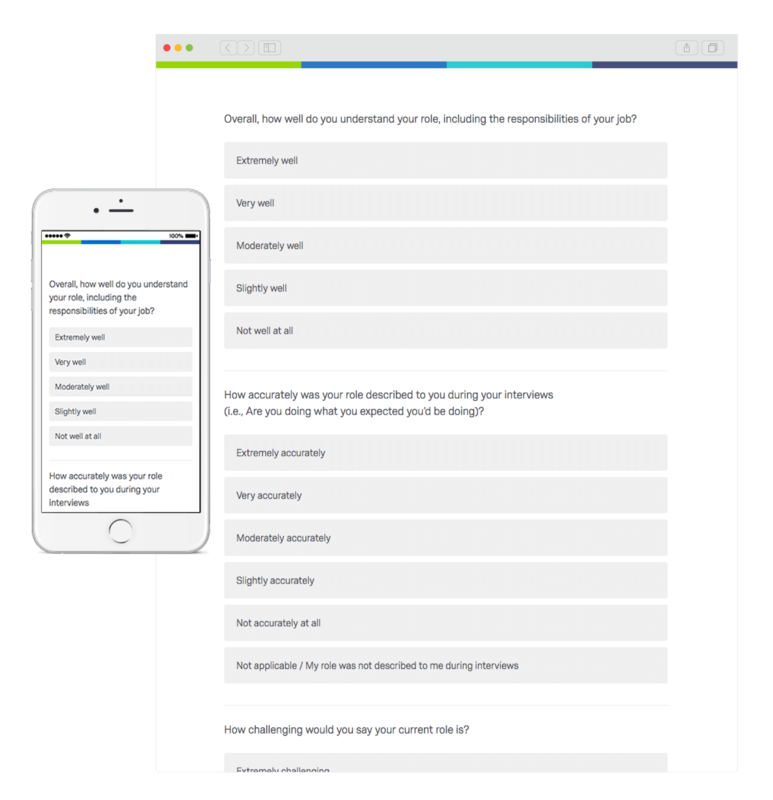 What are Employee Onboarding Surveys? Onboarding surveys, sometimes referred to as new hire surveys, measure the new employee experience and help leaders improve the onboarding and new hire process. By gathering information from each new hire and tracking items such as satisfaction, manager feedback and the effectiveness of orientation processes, HR leaders and managers can maximize and optimize the investment they make in hiring and training new employees.